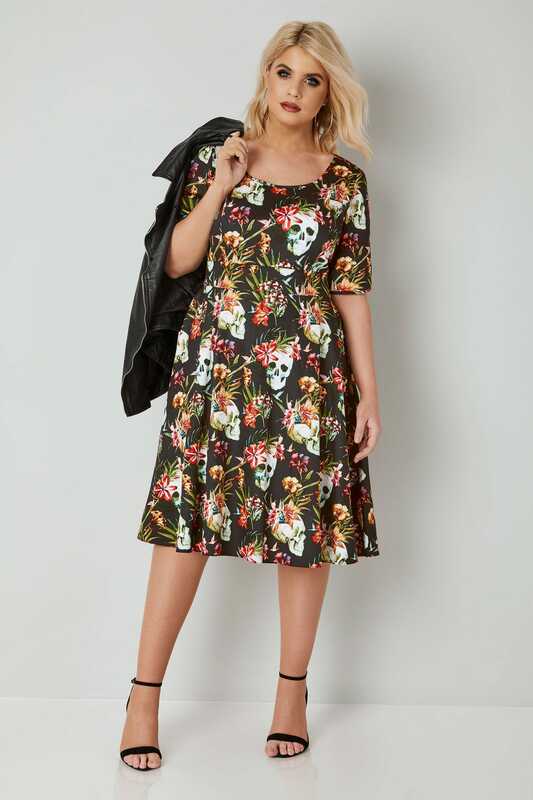 Perfect for parties and special occasions, this stylish dress is designed to fit closely to the bust and flare at the waist for a flattering skater shape. 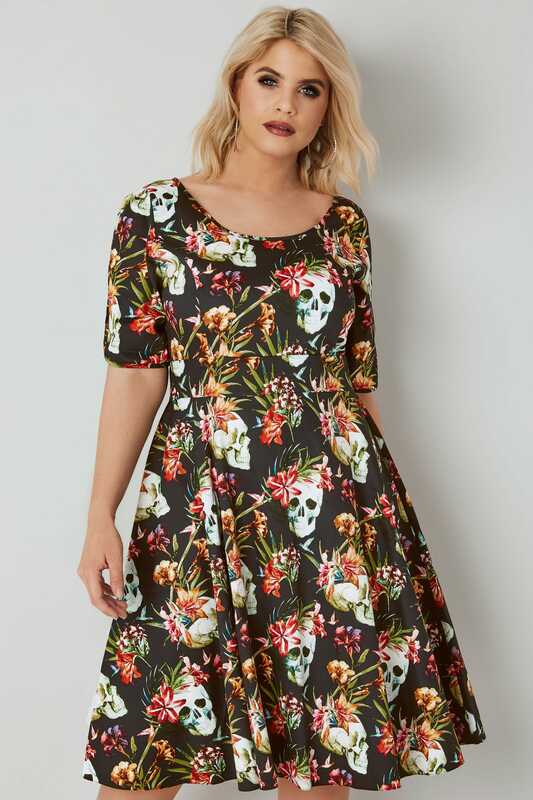 Team with heels and a matching clutch to finish the look. 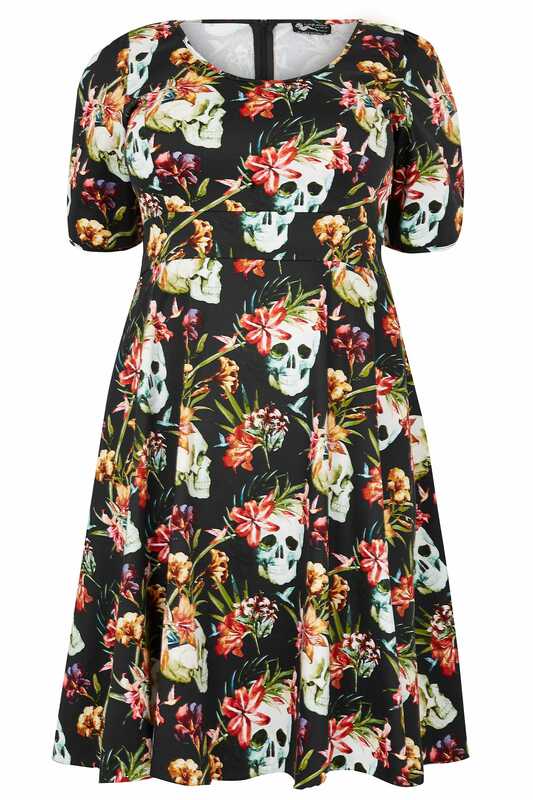 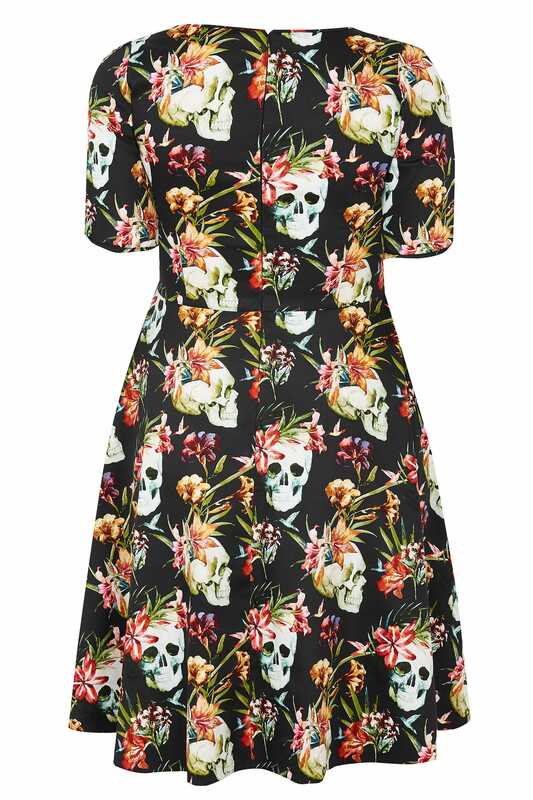 We love the contrasting floral and skull print.